More than 1,300 people were injured on Lombok island in the major quake and 353,000 are now internally displaced. The death toll from a major earthearthquake that hit theIndonesianisland of Lombok rose to 555 on Friday. The new casualty count was announcedon Twitterby Sutopo Purwo Nugroho, spokesman for the national disaster agency. 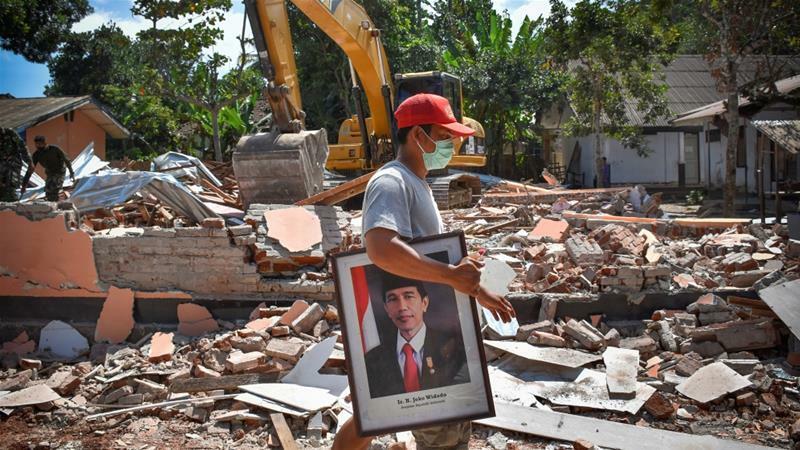 The shallow 6.9 magnitude earthquakelevelledtens of thousands of homes, mosques, and businesses across Lombok on August 5. More than 1,300 people were injured and nearly 353,000 have been internally displaced. According to Sutopo, supplies for those made homeless are still being distributed with about 30,000 tents and 100 wheelchairs sent to affected areas. Authorities estimate the earthearthquake caused $348m in damage on Lombok. According to scientists fromNASAand the California Institute of Technology’s rapid-imaging project, theearthquakelifted the island as much as 25 centimetres in some areas. In other places, the ground dropped five-15cm. NASA said satellite observations can help authorities respond to earthearthquakes and other natural or man-made disasters. Last week the island was hit by several strong aftershocks. At leasttwelve people diedfollowing the tremors that caused landslides and panic in several villages. Indonesia is prone to earthearthquakes because of its location in the Ring of Fire, an arc of volcanoes and fault lines in the Pacific Basin. In December 2004, a magnitude 9.1 earthearthquake off Sumatra island triggered a massive tsunami that killed 230,000 people in a dozen countries across the Indian Ocean.